• Rockefeller Philanthropy Advisors explores the concept of climate justice and how we can take action on conserving our environment while also protecting human rights. • The main upshot is that climate justice must be transparent and equitable. How can we produce better frameworks to make sure the voices of all communities are heard? • Take a look at these climate justice leaders imagined as comic superheroes. In September 2017, four organizations convened a Climate Justice Funders Roundtable to explore opportunities to collaborate in support of rights-based, community-driven activities to address climate change. This event encouraged funders to explore intersections and begin to identify ways the philanthropic sector can have a transformative impact for those who face significant climate change impacts in their daily lives. Climate justice is a framework for climate action that respects and protects human rights. Climate justice principles help ensure that climate policy development is transparent, participatory, and accountable, respects and protects human rights, and is gender sensitive. 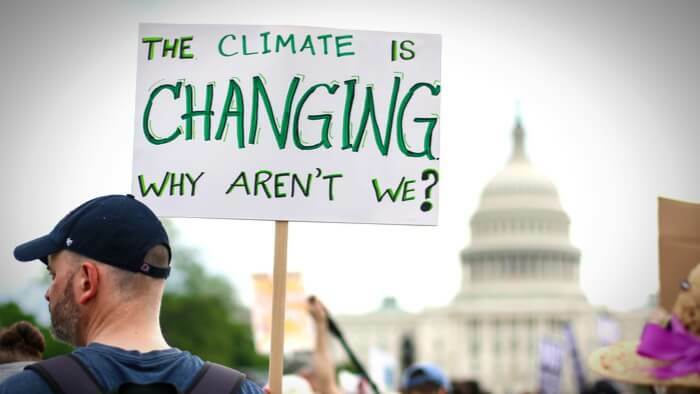 Moreover, climate change is a global development issue, and climate justice embodies both parts of a moral argument to act on climate change: being on the side of those who are suffering most, while also ensuring that they do not suffer again as the world takes action on climate change. Climate-related funding has historically been segmented into mitigation and adaptation. Climate justice represents a frame with the potential to integrate adaptation and mitigation, link them to other sustainable development issues, and bring in a critical element — the human rights element — that is often missing from both. The meeting ended by identifying upcoming moments when funders could gather again to continue the conversation in ways that foster building a community of practice. Read the full article about climate justice from Rockefeller Philanthropy Advisors. In times of economic crisis, the urge to act precipitously is understandable. But such an approach may not help donors reach their intended goals. A financial downturn affects both the supply and demand sides of philanthropy. Money available for giving often shrinks just as public need rises sharply, driven by hardships like high unemployment and ebbing government resources. In the recent recession, private foundations and donor-advised funds saw double-digit investment losses. Some donors felt they had to retrench; some vowed to maintain their normal levels of giving. Huge economic change may seem to call for a dramatic change in giving strategy. But thoughtful philanthropists rarely panic. In fact, they often see changing circumstances as a chance to take a fresh look at their approach—reviewing their giving; recalibrating their priorities and methods; and recommitting to a long-term giving strategy (if appropriate). This brief guide is designed to serve both emerging and established donors. Part of the Philanthropy Roadmap series, it looks at important questions faced by those who give in challenging times. If you are ready to take action and invest in causes for Human Rights, check out these Giving Funds, Charitable Organizations and Projects related to Human Rights.